Action Figure Barbecue: Hokey Halloween Horror: We Made Pillsbury Ghost Cookies! Hokey Halloween Horror: We Made Pillsbury Ghost Cookies! Here's what they're supposed to look like. The ghost and cookie are very pale (almost white) while the ghost is silhouetted with purple. The ghost also has an orange mouth and orange and purple eyes. These are pretty complex for ghost cookies. I'm pretty excited that these look the same (so far as I can remember) for as far back as I can remember. This year the Pillsbury Doughboy is dressed up like a ghost. It's pretty spooky. Here's the cookies straight out of the package. They look good enough to ear right here, but the package warns against that. 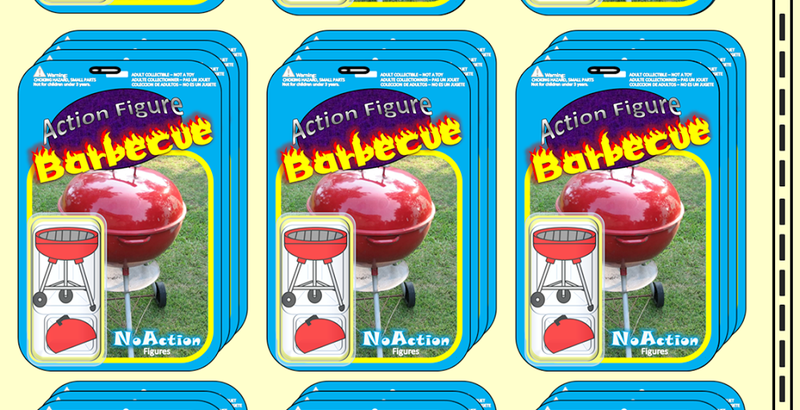 Since Action Figure Barbecue is all about food safety, we wisely waited to cook these before eating them. They do look cool, though. 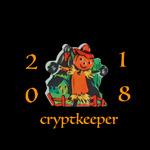 Like little ghost tokens. Here's the cooked batch. It's kind of tough to tell when they're done as they really don't change shape much at all. They definitely do still look like ghosts though. I'm impressed that they didn't warp or anything. Ignore that one on the back, by the way; that was an accident on my part from trying to test a cookie that wasn't quite done yet. Hope you get a chance to bake some cookies, too! Just have to be super-careful with baking these suckers. Too long and it is a hard, tasteless disc. But the designs are fun. Yeah, I can definitely see that happening. They do get a bit harder after setting so you're best to eat them ASAP. Ours disappeared pretty quickly!